Few diseases provoke more fear than cancer. In developed countries like the U.S., we control infectious diseases with vaccines and antibiotics. Yet, modern medicine still struggles against cancer. Cancer kills 10 times more Americans than the flu virus, and it is second only to heart disease as a leading cause of death. It’s no wonder the fear of cancer runs deep in Americans. But it’s a major problem when people avoid talking to their doctor about cancer because they are afraid of being diagnosed. In my work researching and raising awareness of asbestos-related diseases, I’ve heard of situations like this. Some people refuse to let their doctors know about their history of asbestos exposure, even when they have ever-worsening symptoms that could be signs of mesothelioma or lung cancer. Some people deal with the fear of cancer by trying to ignore it. They may believe if they have cancer, they are better off not knowing about it. But if doctors don’t know about a patient’s asbestos-exposure history, they could prescribe the wrong treatments for the patient’s symptoms. Unnecessary treatments based on a misdiagnosis will delay proper treatment and could make the patient’s health even worse. Who Should Worry About Mesothelioma? Asbestos-related diseases usually affect people who spent years working with asbestos-containing materials in the past. Most patients with mesothelioma or asbestos-related lung cancer are retired men who worked in blue-collar jobs or served in the military. Family members of asbestos workers are also at risk from secondary exposure. Work clothes covered in asbestos dust were a major source of toxic exposure for wives and children at home. Only a fraction of people exposed to asbestos go on to develop cancer. But asbestos exposure is an important part of a person’s medical history, and doctors need to know about it. You or someone you lived with had a job involving asbestos. You suffered intense asbestos exposure because of a natural disaster. You lived near an asbestos mine or processing facility. Someone you lived with developed an asbestos-related disease. Asbestos-related diseases have a long latency period. It usually takes at least 20 years for symptoms to arise. This means if you suffered a recent asbestos exposure, it will not have any effect on you for a long time. It may never affect you at all. But the long latency period also means that if you suffered heavy or repeated exposure many decades ago, you are still at risk. Being 30 or 40 years removed from asbestos exposure doesn’t put you in the clear. In fact, it’s the opposite — as you get older, it becomes more important to seek cancer screening. Cancer screening is when doctors check a patient for cancer even though the patient has no symptoms. Mesothelioma often does not cause symptoms until it reaches an advanced stage. Why Do People Refuse Cancer Screening? Usually people don’t seek cancer screening because they don’t believe they are at risk. But sometimes people refuse to get checked because they know they have a high risk of cancer. They may feel that finding out they have cancer will only make things worse. Cancer has a reputation as an unstoppable killer, and the fear of cancer affects people differently. Some people adopt an “ignorance is bliss” attitude toward cancer because they feel there is nothing they can do about it, and they don’t want to place a burden on themselves and their family. Many people are also afraid of cancer treatments causing harsh side effects and long hospital stays. All individuals have a right to make their own health care decisions. No one should feel pressured to begin aggressive cancer treatment if they don’t want to, and people cannot be forced to go through cancer screening. But people should make well-informed health care choices. People at risk of cancer may not realize newer cancer therapies offer greater promise with fewer side effects. A crucial message to get across is patients have more treatment options when cancer is caught early. Cancer screening can take the form of regular X-rays or blood tests. A cancer specialist can recommend what kind of test and how often it should be given based on a patient’s medical history. Once a patient develops suspicious symptoms, though, it is too late for a cancer screening — now the patient needs diagnostic scanning. This checkup will help doctors diagnose the source of a patient’s symptoms, whether they are cancer-related or not. Asbestos-related diseases usually arise with vague, flu-like symptoms. When a patient has mesothelioma, doctors may spend months mistaking it for more common illnesses. Misdiagnoses can give cancer more time to spread and lead to the patient receiving unnecessary treatments. Asbestos-related diseases are rare. If a doctor does not know about a patient’s history of asbestos exposure, the doctor will have no reason to suspect an asbestos-related illness. 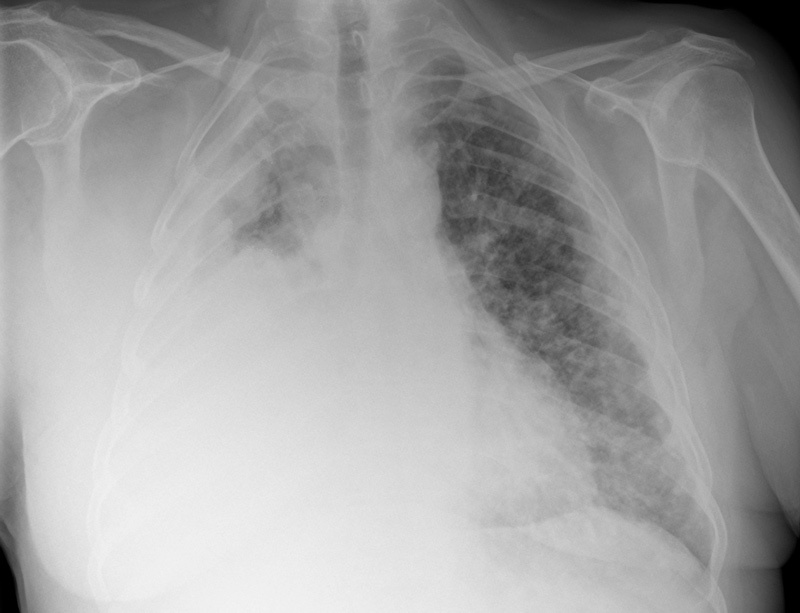 For example, pleural mesothelioma symptoms can make it look like a patient has bronchitis or pneumonia. This may cause a doctor to mistakenly prescribe round after round of antibiotics. The antibiotics will do nothing to the cancer, but the patient will have to bear the cost and side effects of the treatment. Once a patient receives the correct diagnosis, they can receive the correct treatments. Doctors can explain which treatments have the best chance of helping the patient live longer and which treatments will reduce their symptoms and improve their quality of life. Quality health care is based on facts, not assumptions.